" good to go "
if you have a decent internet connection and can connect wit " H P " it is as good as it gets ! Be sure to verify what CPU amongst other parameters that this item comes with, vs what is mentioned in the description. 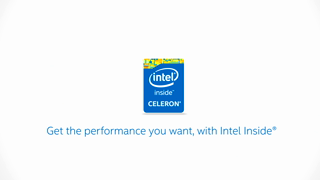 In my case, I received a less performant "Celeron" processor vs the more powerful "Pentium" processor based on which I had ordered. It was a wasted effort in short, but customer service of VIP outlet was good. If the item is not the one you ordered, you have to ship it back and not return it to store, another hassle to add to the frustation. Computer arrived on time and works fine so far. It did not come with the 21.5" monitor bundle that was in the description. Beware - Not as advertised. Not a bundle. Unit is not as advertised. No Monitor. Hard drive not 1tb. Processor not Pentium. Monitor Included ? Hard Drive 1GB ? 1. Yes, the monitor is included and it includes a 500 gb hard drive. Does this bundle come with a 21.5 inch monitor ?